The Haiti Baptist Mission has an office in Rockford, Michigan. Cliff Welsh (former GVSU professor) mentioned it as being one of the prominent missions in Haiti. Voodoo derives from various religious traditions, particularly African, and is the predominant religion in Haiti. A story in the Grand Rapids corporate daily paper, The Grand Rapids Press, on the Baptist Haiti Mission, written early in 1990, was titled, “Generations of Service,” with a subtitled “Turnbull family’s mission centers on spiritual and social needs of Haiti.” It says the Mission has set up “schools, hospitals and churches,” and has helped to dramatically reduce the illiteracy rate. It quotes Turnbull as claiming Voodoo, the indigenous Haitian religion, is largely responsible for the country’s poverty. The article notes that the Mission is not specifically Baptist, but receives support from Methodists, Episcopalians and Catholics, amongst others. 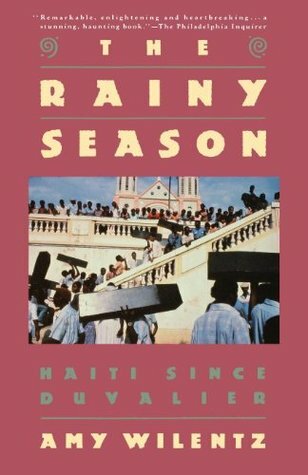 Wilentz goes on to say that Wallace Turnbull, who has been “a fixture on the Haitian scene since the 1950s,” now runs “a large plantation-style mission” that is “next door to the Duvaliers, former mountain retreat.” The Duvalier’s, with considerable USA government support, ran one of the most brutal and corrupt dictatorships in the world for 34 years. When Wilentz asked Aristide about Turnbull and another well-known missionary, Max Beauvoir, Aristide replied, “Beauvoir? CIA. Turnbull? Same thing.” Wilentz says many people say that Turnbull is a CIA informant. Wilentz says that Turnbull has strongly opposed Aristide and has started or contributed to numerous false rumors designed to discredit the highly popular leader. This entry was posted in Religious Right and tagged church mission exploits Haitians, CIA collaborators, Haiti Baptist Mission in Rockford, Wallace Turnbull. Bookmark the permalink.